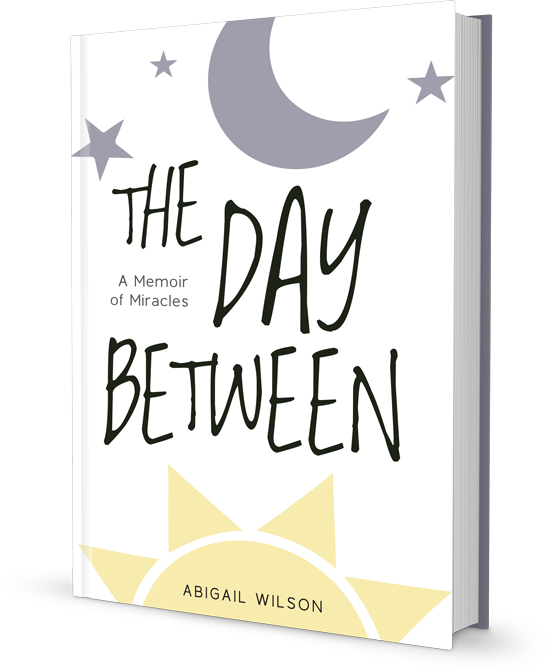 The Day Between: A Memoir of Miracles weaves together the story of an ordinary military family whose lives were changed forever when their unborn twin girls were diagnosed with twin to twin transfusion syndrome. They have a long fight to birth, including a harrowing emergency surgery at 20 weeks. Mixed in with the tears of loss and heartbreak are the light-hearted emotions of encouragement and hope as the author shares the lessons she gains during her journey. Faith is tested as she mourns the death of one daughter, and faith is ultimately proven true in the miraculous birth of the other. This story will bring hope and healing to those who have dealt with grief and disappointment and help others recognize the miracles in their own lives. This book is for anyone who has been feeling “blinded” by all the things we see on the news and wondering where God is in this chaos. Mixed with humor and hope you would not expect from someone who has come through such an experience, there are also lessons on friendship and faith… deep insights that come only to those who have gone through the fire. it speaks so clearly to each of us in our own time of waiting, our ‘day between’. It doesn’t matter what situation has placed us in God’s waiting room – this book has timely wisdom for all of us.